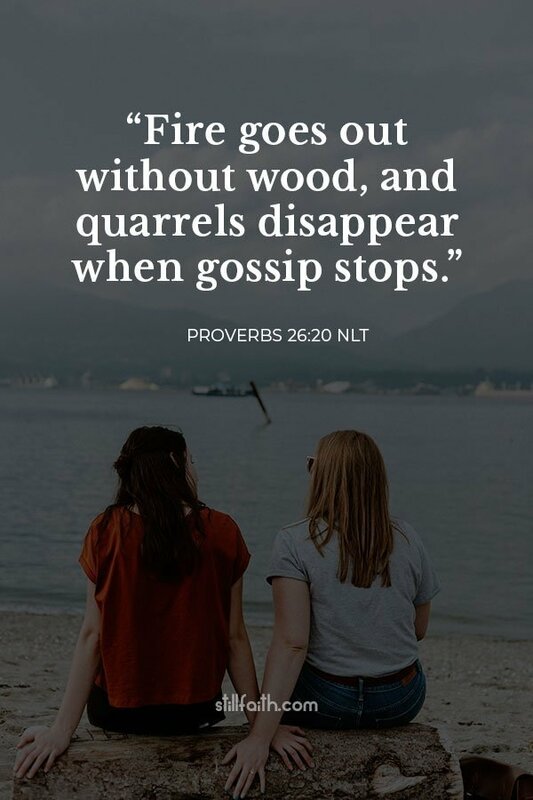 Here are 25 best Bible verses about gossip from the Old and New Testament of The Holy Bible, King James Version (KJV), New International Version (NIV), and New Living Translation (NLT). 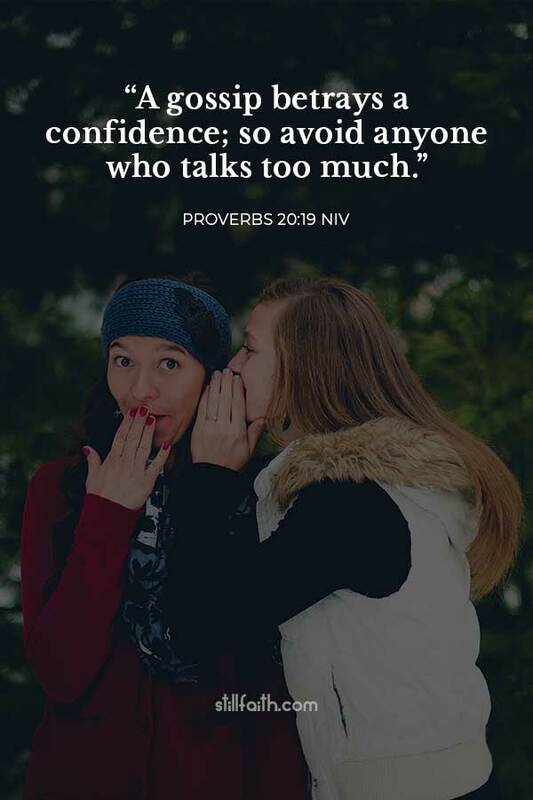 Download a personal copy of this Bible verses about gossip! Rumors are dainty morsels that sink deep into one’s heart. Besides, they get into the habit of being idle and going about from house to house. And not only do they become idlers, but also busybodies who talk nonsense, saying things they ought not to. And if they are on the list, they will learn to be lazy and will spend their time gossiping from house to house, meddling in other people’s business and talking about things they shouldn’t. For I fear, lest, when I come, I shall not find you such as I would, and that I shall be found unto you such as ye would not: lest there be debates, envyings, wraths, strifes, backbitings, whisperings, swellings, tumults. Do not spread false reports. 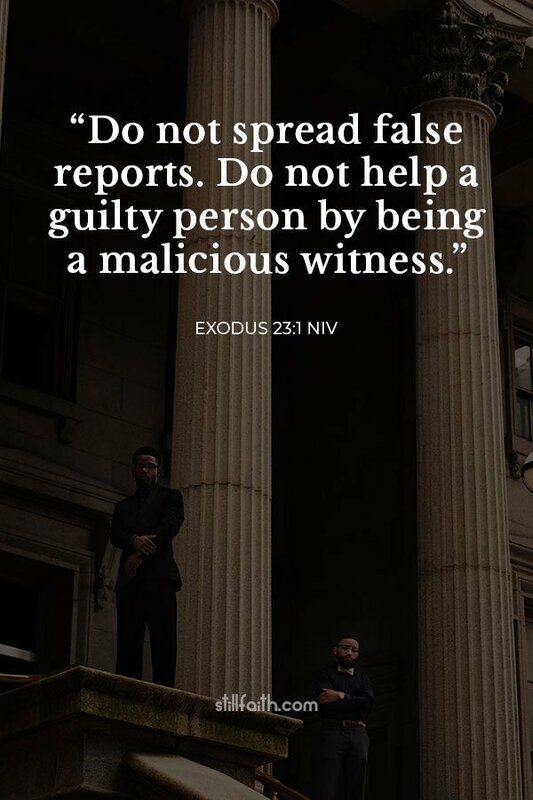 Do not help a guilty person by being a malicious witness. You must not pass along false rumors. You must not cooperate with evil people by lying on the witness stand. 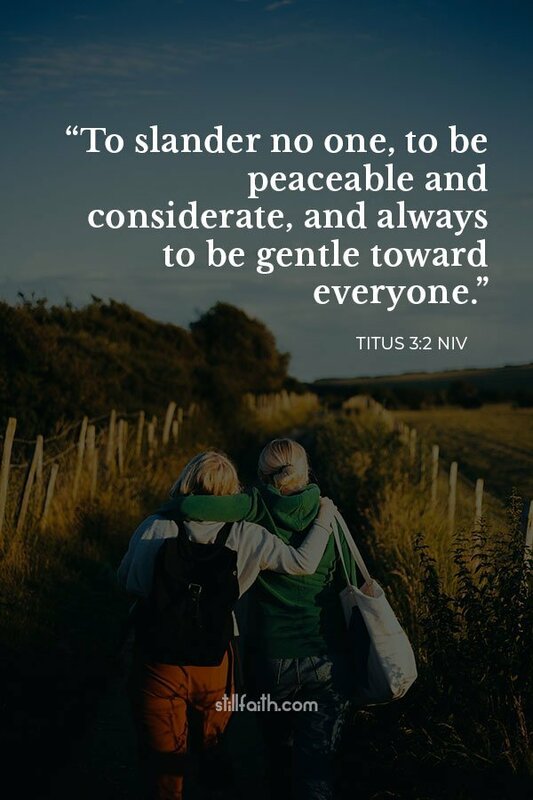 Being filled with all unrighteousness, fornication, wickedness, covetousness, maliciousness; full of envy, murder, debate, deceit, malignity; whisperers. They have become filled with every kind of wickedness, evil, greed and depravity. They are full of envy, murder, strife, deceit and malice. They are gossips. 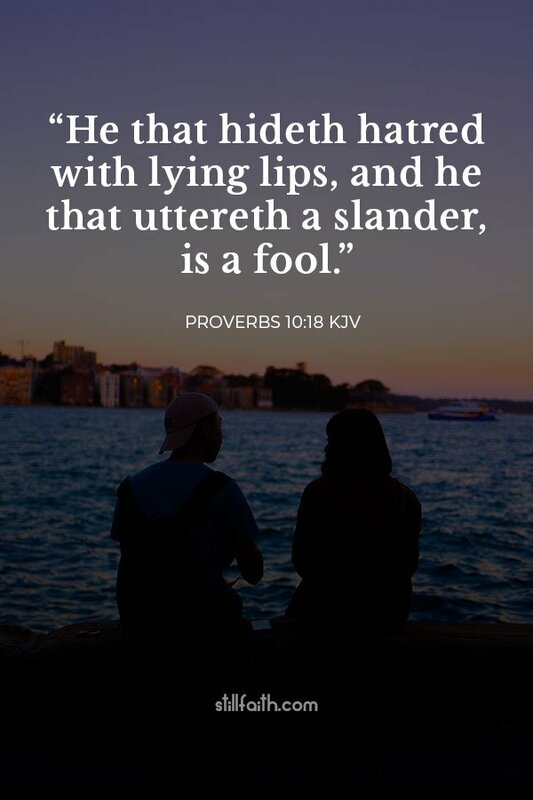 Hiding hatred makes you a liar; slandering others makes you a fool. These six things doth the Lord hate: yea, seven are an abomination unto him: a proud look, a lying tongue, and hands that shed innocent blood, a heart that deviseth wicked imaginations, feet that be swift in running to mischief, a false witness that speaketh lies, and he that soweth discord among brethren. There are six things the Lord hates— no, seven things he detests: haughty eyes, a lying tongue, hands that kill the innocent, a heart that plots evil, feet that race to do wrong, a false witness who pours out lies, a person who sows discord in a family. A hypocrite with his mouth destroyeth his neighbour: but through knowledge shall the just be delivered. A wicked person listens to deceitful lips; a liar pays attention to a destructive tongue. Like a north wind that brings unexpected rain is a sly tongue–which provokes a horrified look. As surely as a north wind brings rain, so a gossiping tongue causes anger!